Draft: 2002, Anaheim Angels, 2nd rd. Kevin Martin Jepsen.… Married to Andrea…is a 2002 graduate of Bishop Manogue High School in Reno, NV…named 2002 Gatorade State Player of the Year as a senior, going 9-1 with 1 save and a 0.84 ERA… was a member of bronze medal-winning Team USA in the 2008 Olympics in Beijing with 4 scoreless appearances, 5 strikeouts and a save (5.2 IP)…was signed by Todd Blyleven, son of Hall of Fame pitcher Bert Blyleven, after being selected by MIN in 2nd round of 2002 MLB draft. Went to spring training as a non-roster invitee with ARI after signing on 2/13…was released on 3/25…was signed by WAS organization on 6/29 and activated by Syracuse (AAA) on 7/15…went 0-1, 13.50 (11 ER/7.1 IP) in his first 6 outings before posting a 1.65 ERA (3 ER/16.1) IP with 21 strikeouts in last 13 games…earned lone save on 8/2 at Pawtucket… opponents batted .237, .214 vs. RHB and .270 vs. LHB. Combined to go 2-6, 5.98 (33 ER/49.2 IP) with 7 saves in 58 games with MIN and TB…opened the season as the Twins closer, going 2-5, 6.26 with 7 saves in 24 games before being removed from role in early June… earned victories in consecutive appearances, 4/25/16 vs. CLE…was designated for assignment on 7/3 and released by MIN on 7/11…signed with TB on 7/15…posted a 1.13 ERA (1 ER/8.0 IP) in first 12 appearances thru 8/10 but had a 9.00 ERA (11 ER/11.0 IP) over last 13 games…opponents hit .315 for the season. Began season with Tampa Bay after being acquired via trade with Los Angeles-AL December 16, in exchange for outfielder Matt Joyce.... Posted a 0.96 ERA (9.1 IP, 1 ER) with one walk, seven strikeouts and one save in nine April games for the Rays...Recorded 20 holds pre-All-Star Break, tied for second-most in baseball....Acquired by Minnesota via trade July 31, in exchange for right-handed pitchers Chih-Wei Hu and Alexis Tapia....Earned first save as Twin August 21 at Baltimore while Glen Perkins missed time with neck injury and back spasms...became primary closer with Perkins moving to seventh/eighth inning role and went 10-for-11 in save opportunities from August 21-end of season....Posted 16 consecutive scoreless outings (15.1 IP) August 4-September 2, holding opponents to a .132 batting average with three walks in that span...the streak marked the third longest of his career....Appeared in 70th game September 19 vs. Los Angeles-AL, marking the second time in his career to reach 70 appearances (74 in 2014)....Recorded 15th save October 1 at Cleveland, becoming the fifth pitcher since 1999 to record 15-plus saves and 20-plus holds in a single season, joining Derek Lowe (1999), Tim Worrell (2004), Carlos Marmol (2009) and Mark Melancon (2013)... Appeared in 74th game October 1 at Cleveland, tying single-season career-high; appeared in 75th October 2 vs. Kansas City setting career-high....Posted a 1.27 ERA (35.1 IP, 5 ER) from July 7 through the end of the season, including a .167 opponents batting average and one home run (Jed Lowrie - September 5 at Houston)...ranked fourth among AL relievers in ERA from that date through season's end. ALed the AL in games (75) and was sixth in holds (24)...pitched 29 games for Minnesota and 46 for Tampa Bay. Finished his seventh season with the Angels and established career highs in appearances (74), IP (65) and SO (75)...his 2.63 ERA and 1.05 WHIP were the lowest of his career...Of the 19 runs he allowed, 16 came against Texas and Seattle...worked to a 0.54 ERA (50-IP, 3-ER) against the rest of the league...His 74 appearances were 4th in the AL and his 65 scoreless appearances were 3rd in the majors behind PIT Tony Watson (68) and teammate Joe Smith (67)...Smith and Jepsen both surpassed the previous club record of 63 by Francisco Rodriguez in 2008...Only three pitchers in AL history have had more appearances in a season and not earned a win (see chart)...Angels were 45-29 in games he appeared, but hasn't earned a victory of his own since June 27, 2013 at DET...has made 98 appearances since then...His final regular season appearance with the Angels was his 315th, moving him past Mike Witt and into 5th place on the team's all-time list...he also finished with 245 scoreless appearances, 4th in Angels history...Limited opponents to a .192 (45-for-234) avg., 53 points lower than his previous best...righties hit only .167 against him, 9th best among AL relievers...opponents were 3-for-41 (.073) off him in July...allowed only one run in June and July combined (28 apps, 27.2 IP), a home run by TEX Shin-Soo Choo on June 21...Entered the game in the 7th inning or later in 67 of his 74 apps...After allowing a career-high 5 runs in a 10-3 loss to Seattle on Opening Day, he pitched to a 1.96 ERA (64.1-IP, 14-ER) through the end of the regular season, including two separate career-high scoreless streaks each spanning 19 appearances...Did not allow a run in 13 regular-season apps (16-IP) vs. the AL's four other postseason clubs: Baltimore, Oakland, Detroit and Kansas City...Had a string of 11 consecutive hitless apps May 7-June 5, longest stretch in the majors in 2014 and 2nd longest in club history behind a 13-game stretch in 2012 by Ernesto Frieri...Went 53 apps without a decision to start the season, longest such streak in Angels history...During his career, has held the AL East to a .209 avg. (53-for-253)...allowed only one run in 14.1 IP against the division in 2014...Tied the franchise record with 45 apps before the All-Star break...Has not allowed a home run in a visiting park since Sep 28, 2012 at TEX (Adrian Beltre)...has made 60 road appearances since then...POSTSEASON: Was the only Angel to pitch in all 3 games of the ALDS vs. KC...took the loss in Game 2 when he allowed 3 runs in the 11th inning as the Angels lost, 4-1...surrendered a 2-run homer to Eric Hosmer. Completed 2013 campaign with Angels with a 1-3 mark, 4.50 ERA (36 IP - 18 ER), 36 strikeouts and 14 walks... Posted a 9.82 ERA (3.2 IP - 4 ER) across six games before being placed on the disabled list for the first time in his career on April 13th with a right shoulder strain…Reinstated from disabled list on May 26th and logged a 1-2 mark with a 3.90 ERA (32.1 IP - 14 ER) over 39 games before being placed on the disabled list on Aug. 24th and missing the rest of 2013 due to an appendectomy... Missed a total of 74 games (38 games, 4/13-5/26; 36 games, 8/24-9/29)... Registered a 2.04 ERA (17.2 IP - 4 ER) on the road this season and 6.87 ERA (18.1 IP - 14 ER) at home…Did not allow a run on the road in each of first 15 games of 2013... Earned first and only win of the season on June 27 vs. Tigers. Completed fifth big league season with a 3-2 record and 3.02 ERA (44.2 IP - 15 ER), including two saves and 18 holds in 49 games over two stints with Angels...3.02 ERA established a career best...Following July 5 recall from Triple-A Salt Lake, was 3-1 with a 1.67 ERA (37.2 IP - 7 ER) in 40 appearances...36 of 40 outings in return to Angels were scoreless including 19 of 22 appearances at the Big A...Angels were 31-9 in his appearances over the span...Did not allow a run in July in 10 IP over 12 outings, marking the first scoreless month of career...Recorded second career save, July 15 at New York, first save since Oct. 4, 2009, at Oakland...One of seven Halo relievers to register a save in 2012...Appeared in nine April contests, allowing eight earned runs in seven innings pitched before being optioned to Salt Lake...Made 23 appearances with Bees, going 2-2 with a 3.24 ERA (25 IP - 9 ER) with 35 strikeouts. Spent two separate stints with Angels before his season was cut short due to injury...Was 1-2 with a 7.62 ERA (13IP - 11 ER) in 16 appearances for the Angels...Made third consecutive Opening Day roster with Halos, posting a 0-1record with a 6.75 ERA (4 IP - 3 ER) in five appearances before being optioned to Salt Lake...Recalled May 11th andtook the loss that night in a 10-inning contest vs. Chicago...Made 11 appearances in his second stint, registering a1-1 record with a 8.00 ERA (9 IP - 8 ER)...Optioned to Salt Lake, June 11th...In two seperate stints with Bees, posteda 1-3 record with seven saves and a 4.45 ERA (28.1 IP - 14 ER) in 24 appearances...Suffered a right knee sprain andwas placed on the disabled list, July 16th...Underwent arthroscopic surgery to evaluate his right knee, August 31st,effectively ending his season. Finished first full season in Majors at 2-4 with a 3.97 ERA (59.0 IP - 26 ER) ... in 68 appearances with Angels...Allowed 54 hits (2 HR) while walking 29 and striking out 61...Set career-bests in ERA, strikeouts, inningspitched and appearances...Made second career Opening Day roster...Led Angels 'pen in holds (27) andstrikeouts...54 of 68 outings were scoreless this season...Stranded 21 of 31 inherited runners...Posted a 2.78ERA (32.1 - 10 ER) at home compared to a 5.40 (26.2 IP - 16 ER) mark on the road...Allowed just two runs in10 innings of work (1.80 ERA) during the month of April...14 of final 15 outings were scoreless (0.64 ERA) todrop ERA from 5.04 to 3.97...Registered a 3.41 ERA (29 IP - 11 ER) in the second half of the season after a 4.50(30 IP - 15 ER) showing prior to the All-Star Break...For career, is 3-3 with a 6.13 ERA in first half of the seasonbut owns a 5-6 record with a 3.36 ERA in the second half. Made first career Opening Day roster qualifying as a rookie...Finished season 6-4 with a 4.94 ERA (54.2 IP - 30 ER)with 17 holds and one save in 54 relief appearances with Angels...Allowed 63 hits (2 HR), walked 19 and struckout 48...Suffered loss in season debut April 7 vs. Oakland (1 IP, 4 H, 2 R, 2 ER)...Placed on 15-day DL April 21 (retroto April 19) with a strained lower back...Was 0-2 with a 19.29 ERA (4.2 IP - 10 ER) in five games prior to DL stint...Was reactivated, May 4 and optioned to triple-A Salt Lake...Posted a 1-0 record with a 9.00 ERA (18 IP - 18 ER) in14 games with the Bees...Allowed 30 hits (4 HR), walked 16 and struck out 20...Recalled from Salt Lake, June 10and spent rest of season on big league roster, posting a 6-2 record and a 3.60 ERA (50 IP - 20 ER) with 17 holds andone save in 49 games...Posted eight consecutive scoreless appearances from August 30 to September 13 (7.2 IP)...Recorded first career save, October 4 at Oakland (1 IP, 2 H, 1 R, 0 ER, 1 SO). Began ■■ season at double-A Arkansas, posting 2-1 record, with 11 saves and a 1.42 ERA (31.2 IP - 5 ER) in 25 games...Limited opponents to a .198 clip...Allowed 22 hits, walked 18 and struck out 35...Led club in saves...Was Angels'Organizational Pitcher of Month for May (1-1, 7 SV, 0.63 ERA) in 12 games (14.1 IP, 11 H, 1 R, 9 BB, 12 SO) atArkansas...Named to Texas League All-Star team...Promoted to triple-A Salt Lake and registered 1-3 record with twosaves and a 2.35 ERA (23 IP - 6 ER) in 15 games...Allowed 17 hits (3 HR), walked 12 and struck out 21...Had contractselected by Angels from Salt Lake Sept. 7...Finished 0-1 with a 4.32 ERA (8.1 IP - 4 ER) in nine games...Made MajorLeague debut Sept. 8 vs. New York working a 1-2-3 eighth inning...Was charged with first loss of MLB career (0-1)Sept. 23 at Seattle (.2 IP, 2 H, 3 R, 2 ER, 2 BB)....Member of Team USA that captured bronze medal in Beijing...Appeared in relief in four Olympic games with one save, 0.00 ERA (5.2 IP) and five strikeouts...Selected to USA All-Star Futures Game (DNP)...Was on Angels post-season roster but did not appear in Division Series vs. Boston. Spent 2007 season with single-A Rancho Cucamonga...Carried 4.19 ERA with three saves over 44 relief outings...Threw 14consecutive scoreless innings from June 9 to July 6...Had 50 strikeouts in 53.2 innings pitched. Spent 2006 season with Rancho Cucamonga...Marked first season as a reliever as he was primarily a starter over previousfour seasons...Went 4-4 with 16 saves and a 3.58 in 47 games in relief...Gave up one earned run in his first seven outings...Struck out 46 batters over 50.1 innings pitched. Opened 2005 season with Angels rookie level club in Arizona...Made seven starts and finished 0-1 with 5.52 ERA...Alsomade four starts with Rancho Cucamonga (0-1, 10.66 ERA). Spent 2004 season with single-A Cedar Rapids...Posted an 8-3 record with a 3.43 ERA in 27 starts with one shutout...Ledleague in shutouts and walks while ranking fifth in starts. 2003 campaign marked first full season in single-A with Cedar Rapids...Enjoyed fine season with Kernels as he finished 6-3in 10 starts with a 2.65 ERA...Limited opponents to a .180 clip. In 2002, Made professional debut with rookie level Arizona Angels...Appeared in eight games (five starts) and finished1-3 with a 6.84 ERA. 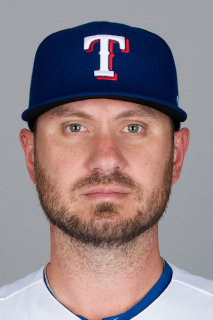 May 27, 2018 Texas Rangers released RHP Kevin Jepsen. May 21, 2018 Texas Rangers designated RHP Kevin Jepsen for assignment. March 29, 2018 Texas Rangers selected the contract of RHP Kevin Jepsen from Round Rock Express. December 14, 2017 Texas Rangers signed free agent RHP Kevin Jepsen to a minor league contract and invited him to spring training. December 14, 2017 RHP Kevin Jepsen assigned to Round Rock Express. November 6, 2017 RHP Kevin Jepsen elected free agency. July 15, 2017 Syracuse Chiefs activated RHP Kevin Jepsen from the temporarily inactive list. June 27, 2017 RHP Kevin Jepsen assigned to Syracuse Chiefs. June 26, 2017 Washington Nationals signed free agent RHP Kevin Jepsen to a minor league contract. February 23, 2017 RHP Kevin Jepsen assigned to Reno Aces. February 13, 2017 Arizona Diamondbacks signed free agent RHP Kevin Jepsen to a minor league contract and invited him to spring training. November 3, 2016 RHP Kevin Jepsen elected free agency. July 15, 2016 Tampa Bay Rays signed free agent RHP Kevin Jepsen. July 11, 2016 Minnesota Twins released RHP Kevin Jepsen. July 3, 2016 Minnesota Twins designated RHP Kevin Jepsen for assignment. August 1, 2015 Minnesota Twins activated RHP Kevin Jepsen. December 16, 2014 Tampa Bay Rays traded LF Matt Joyce to Los Angeles Angels for RHP Kevin Jepsen. November 4, 2013 Los Angeles Angels activated RHP Kevin Jepsen from the 60-day disabled list. August 24, 2013 Los Angeles Angels placed RHP Kevin Jepsen on the 15-day disabled list retroactive to August 21, 2013. Appendicitis. August 21, 2013 Los Angeles Angels transferred RHP Kevin Jepsen from the 15-day disabled list to the 60-day disabled list. May 26, 2013 Los Angeles Angels activated RHP Kevin Jepsen from the 15-day disabled list. May 22, 2013 Los Angeles Angels sent RHP Kevin Jepsen on a rehab assignment to Salt Lake Bees. May 19, 2013 Los Angeles Angels sent RHP Kevin Jepsen on a rehab assignment to Inland Empire 66ers. April 13, 2013 Los Angeles Angels placed RHP Kevin Jepsen on the 15-day disabled list retroactive to April 12, 2013. Tight right triceps. July 5, 2012 Los Angeles Angels recalled RHP Kevin Jepsen from Salt Lake Bees. May 4, 2012 Los Angeles Angels optioned Kevin Jepsen to Salt Lake Bees. October 6, 2011 Kevin Jepsen roster status changed by Los Angeles Angels. July 16, 2011 Salt Lake Bees placed RHP Kevin Jepsen on the 7-day disabled list. June 12, 2011 Los Angeles Angels optioned RHP Kevin Jepsen to Salt Lake Bees. May 11, 2011 Los Angeles Angels recalled Kevin Jepsen from Salt Lake Bees. April 11, 2011 Los Angeles Angels optioned Kevin Jepsen to Salt Lake Bees. June 10, 2009 Los Angeles Angels recalled Kevin Jepsen from Salt Lake Bees. May 4, 2009 Los Angeles Angels optioned Kevin Jepsen to Salt Lake Bees. April 30, 2009 Los Angeles Angels sent RHP Kevin Jepsen on a rehab assignment to Salt Lake Bees. April 21, 2009 Kevin Jepsen roster status changed by Los Angeles Angels. September 7, 2008 RHP Kevin Jepsen roster status changed by Salt Lake Bees.